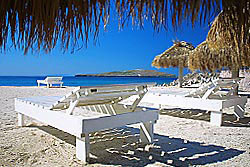 Accommodations - Check the Current Specials or Contact Us for more information! 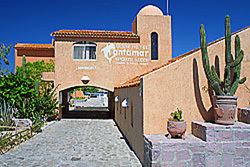 Club Cantamar is a secluded hacienda style resort and marina with 35 rooms, 2 jr. suites, and 4 apartments. 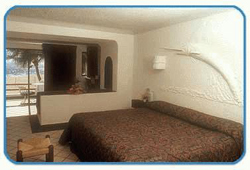 All rooms are decorated with Spanish tile and in the colors of the desert. Amenities within the rooms include comfortable beds, private bathroom, air conditioning, satellite TV, telephone (in most rooms). 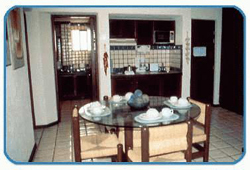 The standard rooms and jr. suites will accommodate up to 4 persons comfortably, but if you are looking for a home away from home, you may find your perfect stay in one of the condos, which is located steps away from the beach, and equipped with 2 bedrooms, 2 bathrooms, a full kitchen, dining room, living room and private balcony. 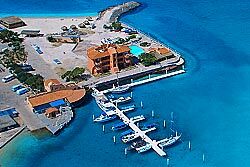 Out of the Pichilingue Marina, located at Club Cantamar, you will enjoy amazing diving on one of six dive boats, and at certain times of the year have the opportunity to experience Whale Sharks, Hammerheads and Manta Rays during their migration period. Club Cantamar is also the field station for the Shark Research Institute. An ultralight-airplane is utilized to help locate whale sharks and mantas for tagging purposes, and learning migration habits. 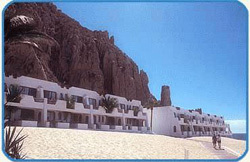 Solmar Suites is a secluded oceanfront property located at the very tip of the Baja Peninsula where the Sea of Cortez meets the Pacific Ocean. Located less than one mile from shopping, restaurants, the marina, and the nightlife of Cabo San Lucas, there is always something to do. 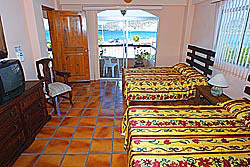 Solmar Suites also offers an activity center where reservations can be made for water sports (scuba diving, snorkeling, sunset cruises, deep sea fishing), horseback riding, ATV tours, car rentals, and much more! Scuba diving tours are provided by Amigos del Mar. 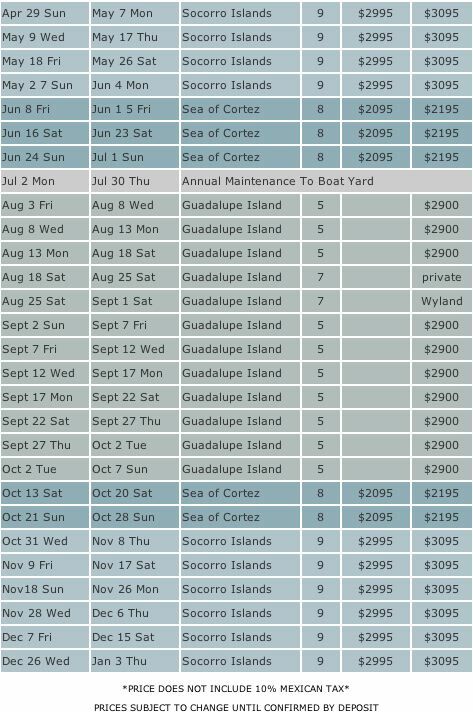 Solmar V is a 112-foot luxury live-aboard providing trips to the Socorro Islands and the Sea of Cortez out of Cabo San Lucas in the Baja of Mexico. 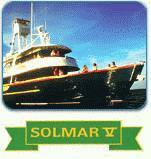 Solmar V has comfortable accommodations for twenty-two divers in 12 individual staterooms that are comfortably equipped with air-conditioning, private bathrooms (sink, shower and head), color television and built-in VCR.